This week, we bring you romance with a mysterious twist, a former marine who discovers a government conspiracy, sinister aliens bent on destroying humanity, healthful Paleo cooking, and the complete works of Shakespeare. Not a bad haul, huh? Humanity is defeated. Ten years ago the Sythians invaded the galaxy with one goal: to wipe out the human race. 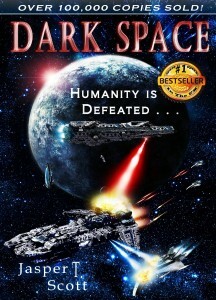 Now the survivors are hiding in the last human sector of the galaxy: Dark Space–once a place of exile for criminals, now the last refuge of mankind. The once galaxy-spanning Imperium of Star Systems is left guarding the gate which is the only way in or out of Dark Space–but not everyone is satisfied with their governance. Freelancer and ex-convict Ethan Ortane is on the run. He owes crime lord Alec Brondi 10,000 sols, and his ship is badly damaged. 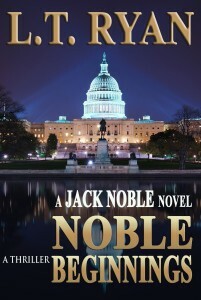 When Brondi catches up with him, he makes an offer Ethan can’t refuse. Ethan must infiltrate and sabotage the Valiant, the Imperial Star Systems Fleet carrier which stands guarding the entrance of Dark Space, and then his debt will be cleared. While Ethan is still undecided about what he will do, he realizes that the Imperium has been lying and putting all of Dark Space at risk. 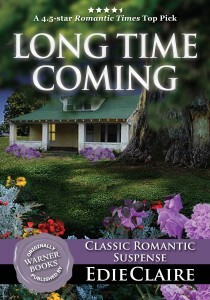 Now Brondi’s plan is starting to look like a necessary evil, but before Ethan can act on it, he discovers that the real plan was much more sinister than what he was told, and he will be lucky to escape the Valiant alive. . . . If you count meals and snacks, we feed ourselves about 28 times each week. All of the Well Fed recipes made with zero grains, legumes, soy, sugar, dairy, or alcohol were created so you can enjoy your food every time. Calorie-dense ingredients like dried fruit and nuts show up as flavoring, instead of primary ingredients, and there’s a balance of Omega-6 and Omega-3 fats, so you don t have to worry about that stuff you can just eat. The two essential tricks for happy, healthy eating are being prepared and avoiding boredom. Well Fed explains how to enjoy a cookup once a week so that you have ready-to-go food for snacks and meals every day. It will also show you how to how to mix and match basic ingredients with spices and seasonings that take your taste buds on a world tour. The recipes are as simple as possible, without compromising taste, and they’ve been tested the recipes extensively to minimize work and maximize flavor. Where it makes sense, directions explain how you can cut corners on technique and when you’ll have the best results if you follow the instructions to the letter. Some of the dishes are “project recipes,” so prep and cooking times are included to indicate which are quick enough for weeknights and which are perfect for lazy Sunday afternoons. 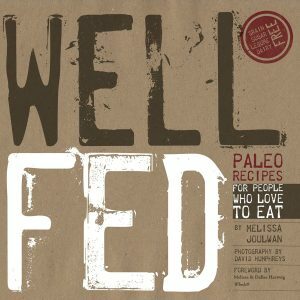 With 115+ original recipes and variations, this book will help you see that paleo eating too often defined by what you give up is really about what you’ll gain: health, vitality, a light heart, and memorable meals to be shared with the people we love. 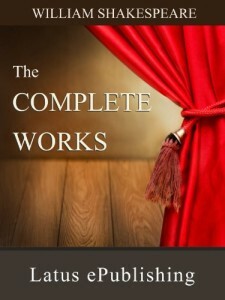 The complete works of Shakespeare have to be considered among the greatest works in all of English literature. This Kindle ebook contains Shakespeare’s complete plays and complete poems in a new, easy-to-read and easy-to-navigate format. Character names are offset from the dialogue so it is easy to discern who is speaking. There is plenty of white-space which makes reading easy on the eyes. The full TOC appears at the beginning of the book and can be accessed through the MENU or GO TO button.